“Six Billion Stories and counting” are the words that accompany the revamped logo in today’s on-air station IDs. In this version, they were spinning to form a globe accompanied by tiny dots and simple piano music. Both the map logo and ‘SBS’ letters remain as part of a clean and contemporary look. The font is Helvetica Neue with a light typeface used except in smaller ID use. 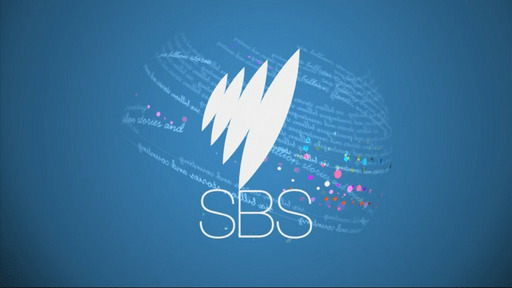 Colour is also now an important part of the SBS identity, with ten colour variations of the logo available. But the on air watermark will remain white / transparent unlike the colour watermarks used by the ABC. SBS will also launch a new-look website. You’d think this would be the perfect time for SBS HD to move to the promised 720p but no such luck by the look of ir.